A highlight of our Fijian expedition was a trip to Kadavu, a medium-sized island south of Viti Levu. Kadavu is a priority for Conservation International. Four species of bird occur there and nowhere else in the world. 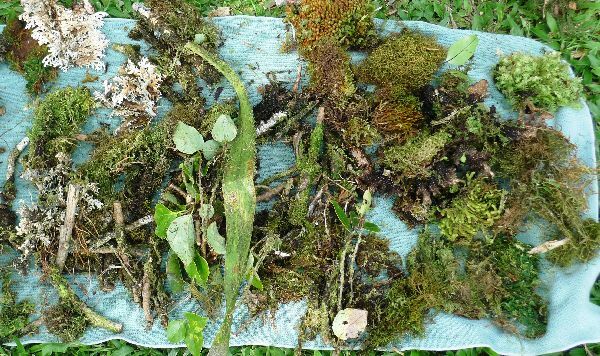 However, little is known of Kadavu’s bryophytes, lichens, and ferns, and it was our job to find out. Delainabukelevu rising above Nabukelevu-ira village. Photo Leon Perrie, Te Papa. 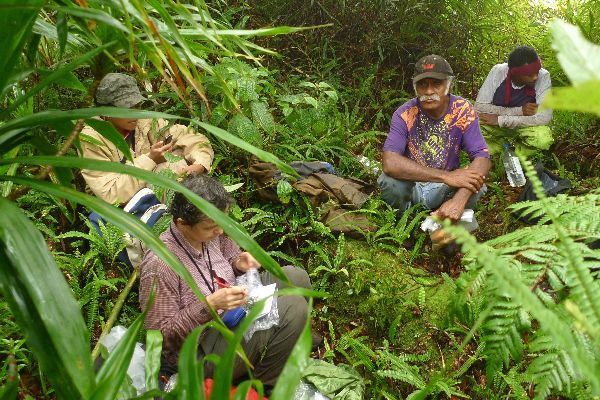 While on Kadavu, Ratu Kaminieli Nabalarua (“Tuka”) looked after us very well, taking us to botanically interesting places and keeping us culturally in line (including monitoring our kava intake). 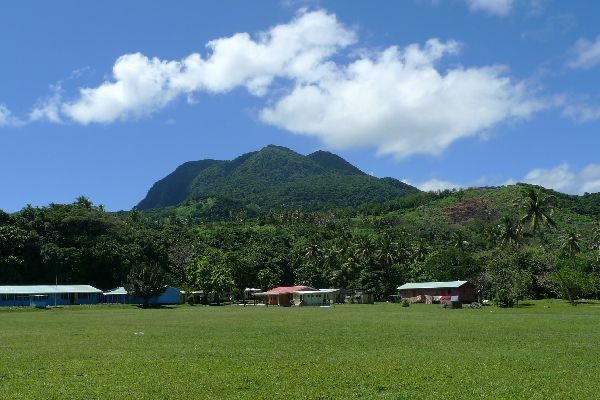 We did some collecting around the capital Vunisea in the middle of the island, but our focus was the Delainabukelevu (or Nabukelevu or Mount Washington) volcano at the western tip of Kadavu. 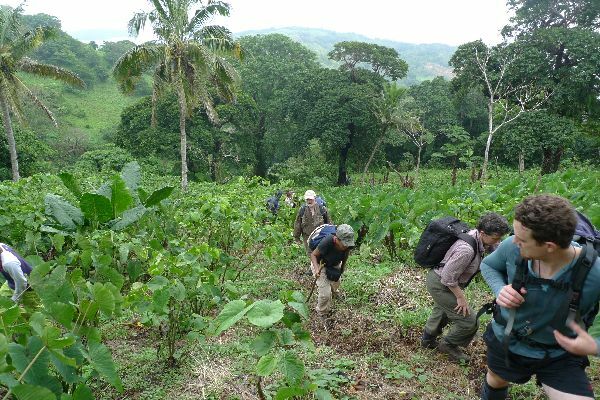 Ascending a lower flank of Delanibukelevu, through a plantation of dalo (taro) and kava. Photo Leon Perrie, Te Papa. Delainabukelevu is just over 800 metres high. Its summit is often shrouded, producing wet and shaded cloud-forest habitat ideal for bryophytes and ferns! We spent a day climbing up and down the steep sides, with a few hours collecting at and around the summit. These collections will take some time to process, but they appeared very interesting. Abel, our lead guide from Nabukelevu-ira, at the Delainabukelevu summit. To his right is David, another guide, who used Fiji’s superior (to NZ) mobile phone network to stay connected throughout the ascent. Photo Leon Perrie, Te Papa. A few of Matt Renner’s (Royal Botanic Gardens Sydney) collections from the summit. Photo Leon Perrie, Te Papa. Processing specimens from Delainabukelevu, Matt von Konrat (right, Field Museum) indicates to Matt Renner that he has five great discoveries from the volcano climb. Lars (behind) keeps the seat occupied, and contemplates where the next kava will come from. Photo Leon Perrie, Te Papa. Farewell from Nabukelevu-ira. Photo Leon Perrie, Te Papa. Kadavu is famous for its kava, and generous partaking in this social ritual was entailed, particularly for the younger, male members of our group. 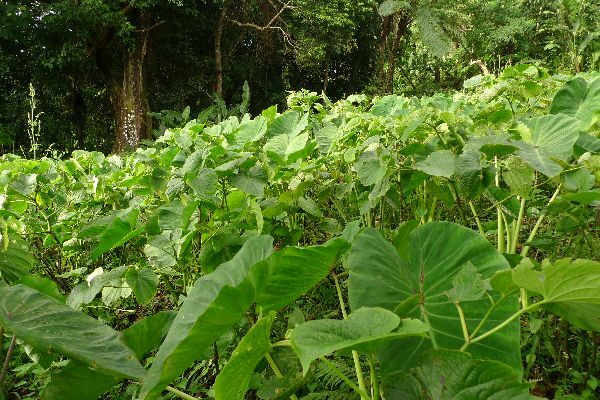 Mixed plantation of dalo (taro) and kava, Nabukelevu-ira. Photo Leon Perrie, Te Papa. Vinaka vakalevu and God bless you, bless your family and the work that you do. what an amazing scenery ! i would give my left arm to be there! Awesome read, awesome pics, hilarious photo captions! Good luck with your travels BritTania. Love seeing your adventure in Fiji! 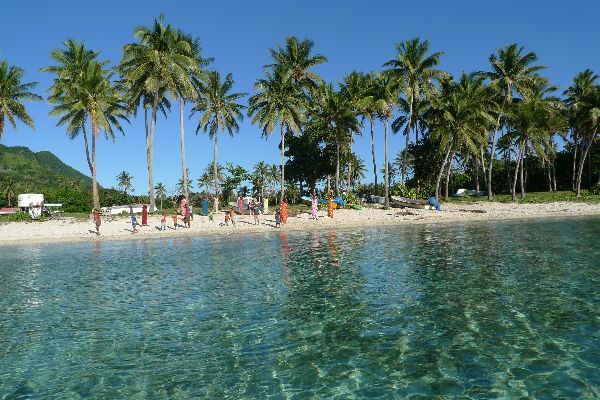 We will actually be studying abroad in Fiji next summer 2012 and seeing this is getting us excited! The vegetation is incredibly green! We just started a blog about studying abroad in New Zealand and Fiji and would love for you to help us out a follow us as well! http://adventuresofbrittania.wordpress.com/ We hope you enjoy!